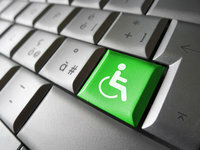 This course provides a broad and balanced introduction to the use of technology to support people with a disability. The course can be delivered to up to 30 people from one organisation or across several organisations. Successfully delivered in Europe and the Middle East the course will ensure that all those attending understand what technologies are available, what support is required to use those technologies and how to match the technology to the specific needs of people with a disability. • To promote best practice and encourage the development of ongoing discussion groups post-course. Bring your own experience and share with others. Group learning environment, on-line collaboration, interdisciplinary setting, practical.